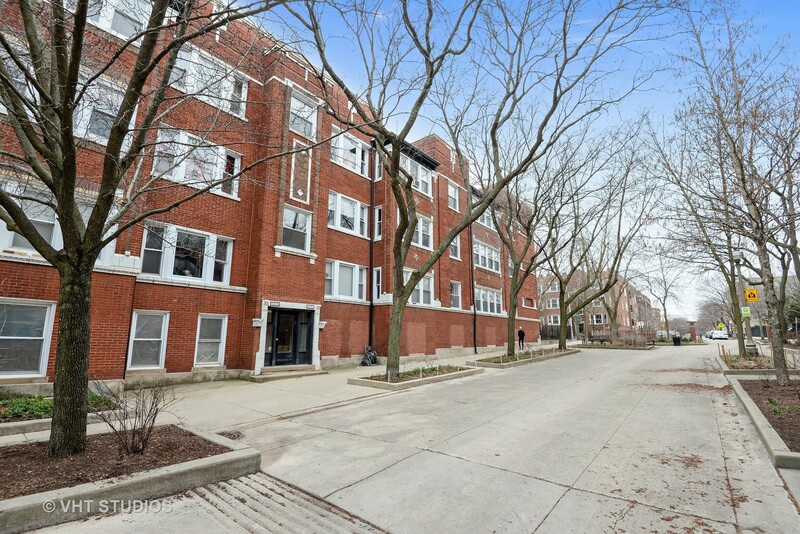 Charming & unique top floor 2 bedroom/1 bathroom corner unit located in a beautiful all courtyard brick building in Sheridan Park! 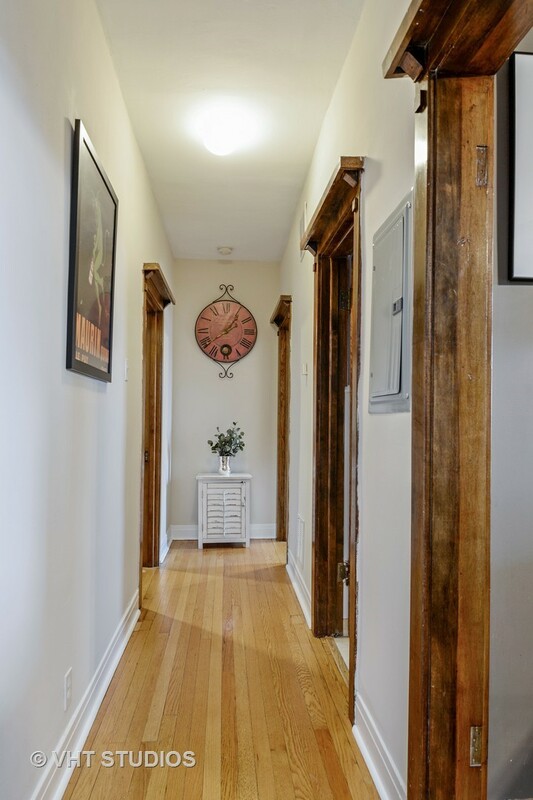 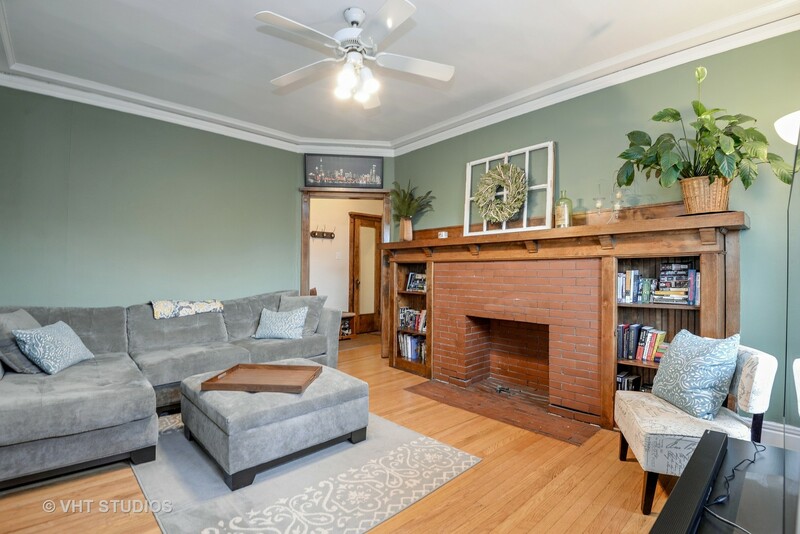 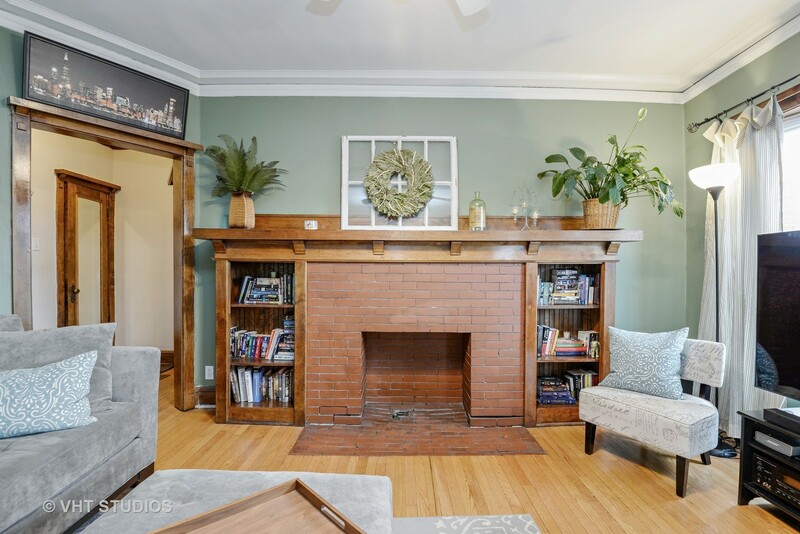 Warm & inviting entry offers original wood work/molding and leads to cozy living room featuring decorative fireplace with built ins & crown molding. 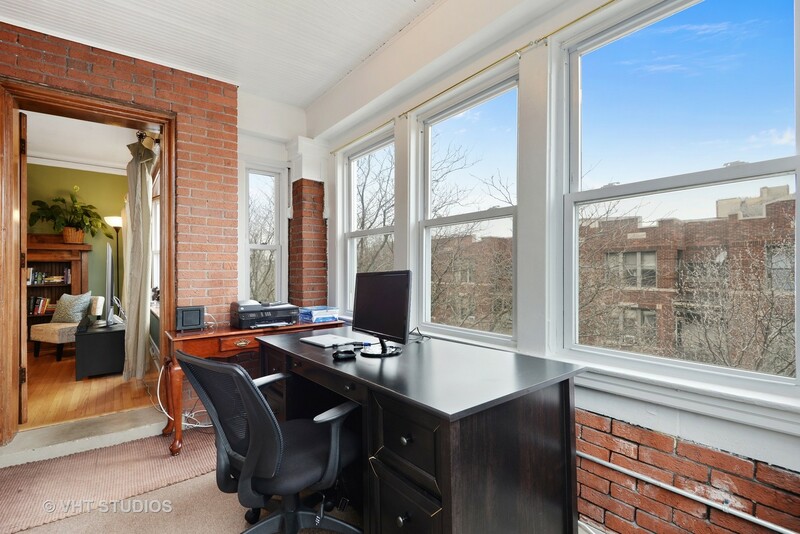 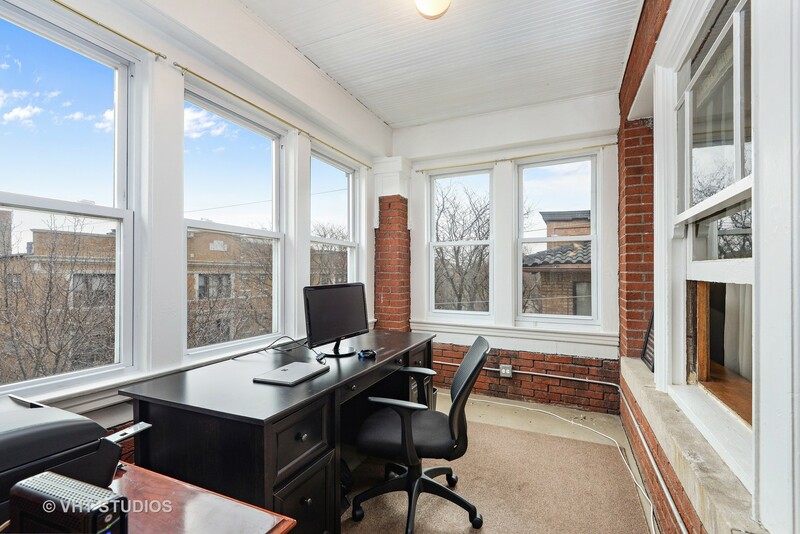 The Sunroom is located off the living room and is perfect for an office or extra storage! 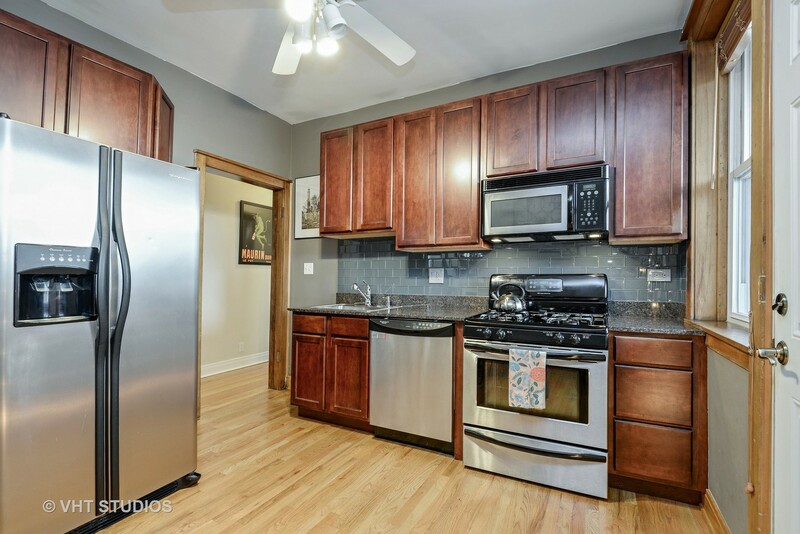 Modern kitchen showcases granite counters, stainless steel appliances, rich expansive cabinetry and breakfast nook. 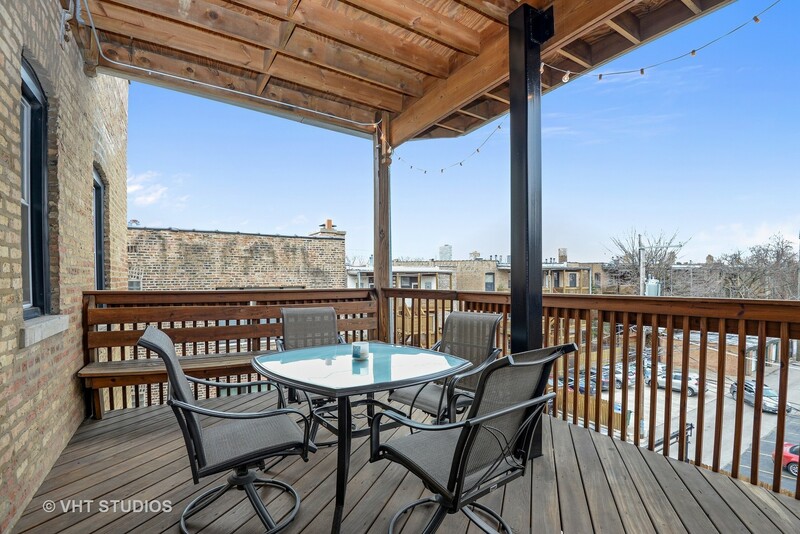 The spacious deck off the kitchen is perfect for entertaining! 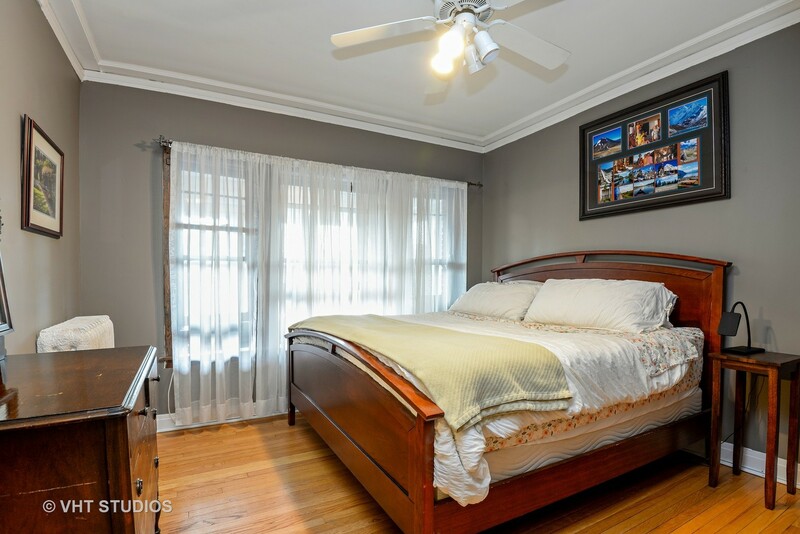 Spacious master suite is flooded with sunlight and offers room for a king sized bed. 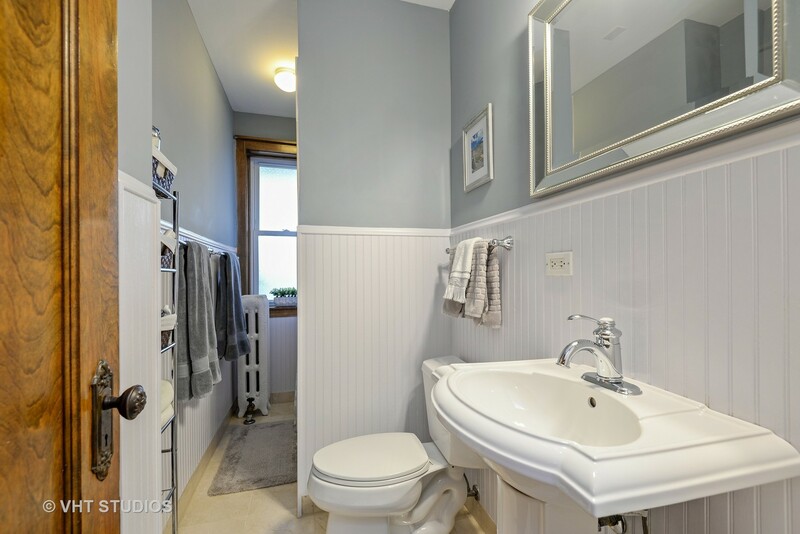 Well appointed 2nd bedroom and charming bathroom. 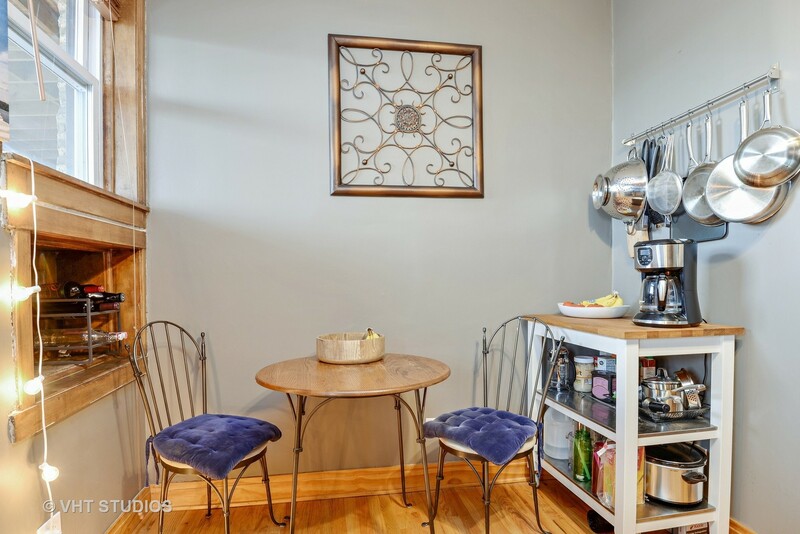 In unit laundry, additional storage in building and easy street parking for your convenience. 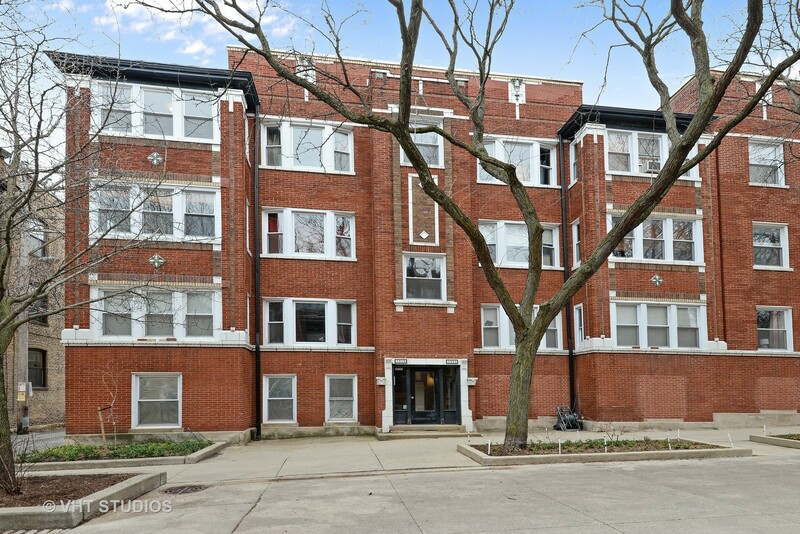 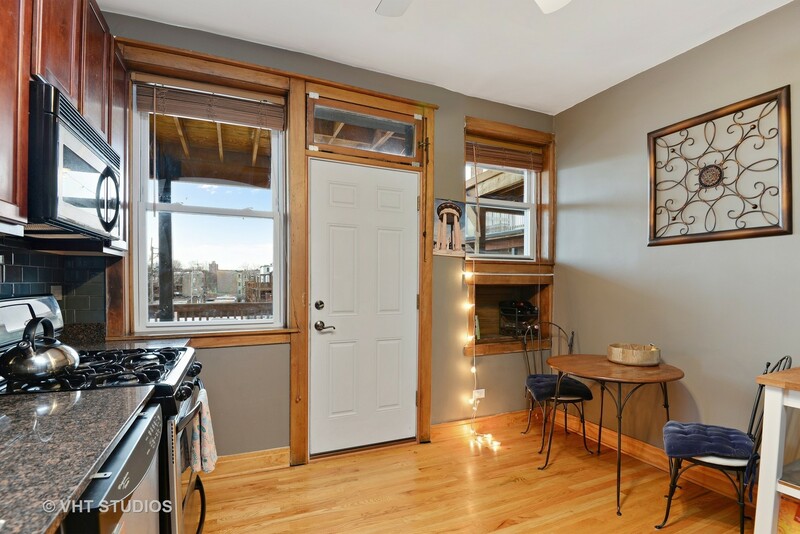 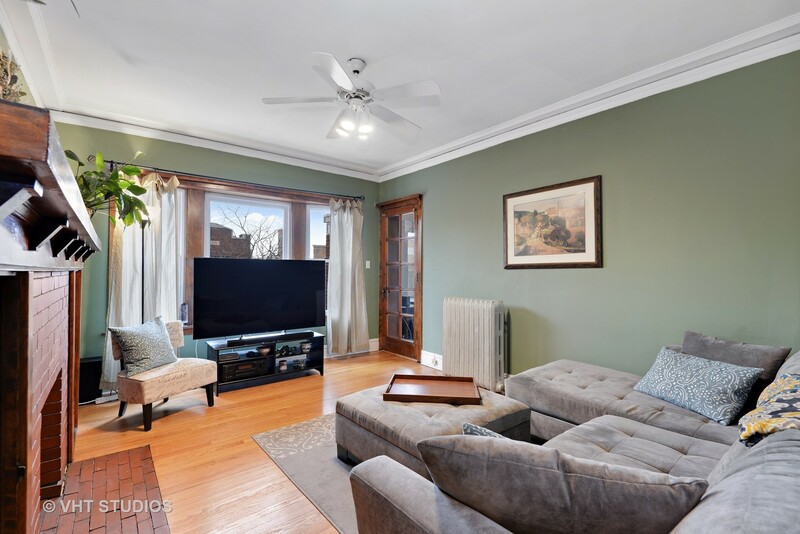 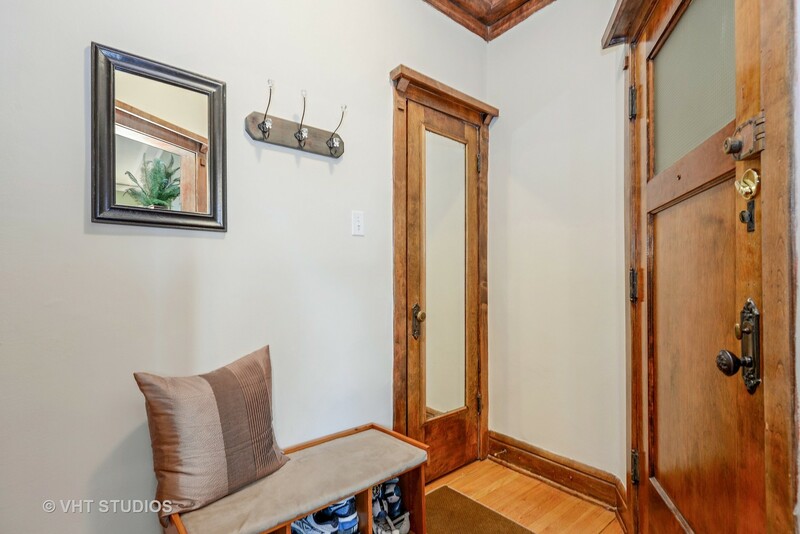 Located just moments from the lake, CTA, Heritage coffee, Target, grocery stores, Wrigley and Andersonville! 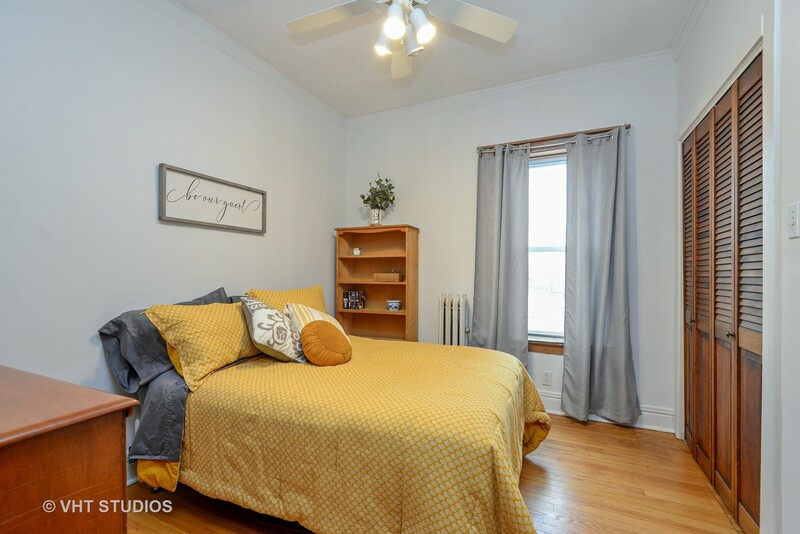 Rental parking available across the street.